Reduced to clear! 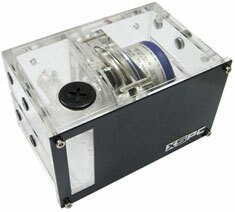 (normally $52) Designed for use with the popular Laing D5 pump, features G1/4" thread, and measures 149 x 96.5 x 85.5mm. Made from high quality acrylic with removable brushed aluminium faceplates (1 x silver, 1 x black), brass screw threads with anti-vibration mounts. Includes 2 x 5mm LED hole (2 x 5mm blue LEDs included). 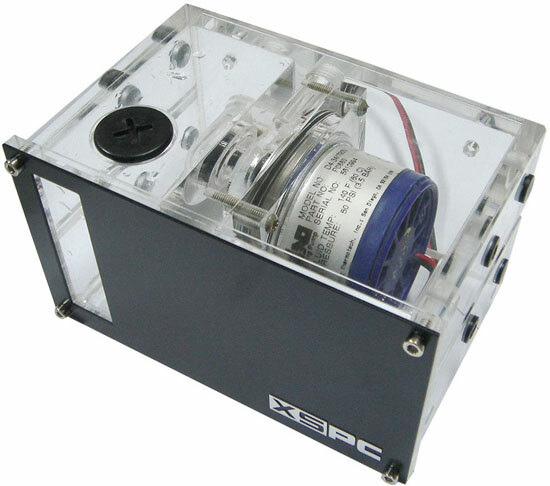 Each unit is individually pressure tested and meets XSPC's exceptionally high quality standards. Supplied with all necessary fitting screws, black and silver faceplates, allen key, and blue LEDs. *Images provided are pre-production - actual product may vary. Pump not included.